Ethnic Differences explores how and why the Irish, Italians, Jews, and blacks of Providence, Rhode Island differed in their schooling and economic success. Drawing on new evidence from thousands of students recors of public, Catholic, and private schools, as well as on census manuscripts, city directories, and other sources, the book offers an integrated study of American ethnicity, education, and social structure. 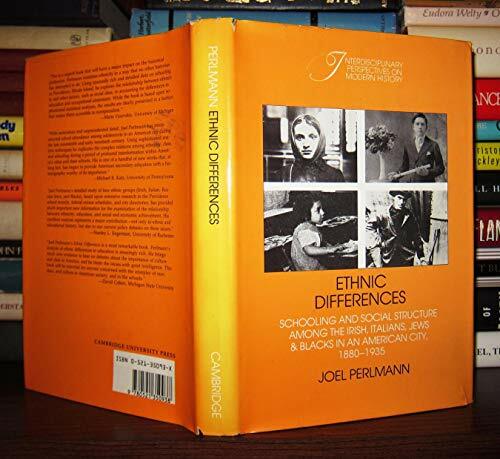 Joel Perlmann examines the extent to which differing career patterns, and reconsiders the relation between ethnicity and social class. A sample of nearly 12,000 Irish, Italians, Jews, Blacks, and non-immigrants from Providence, Rhode Island provides the material for assessment of variations in educational patterns and economic success.